Tow Truck Company--Wheatland, WY: Welcome to Lee’s Towing! As a consumer in the 21st century, you have many choices. With the internet, you can order almost anything at the touch of a few buttons and have it delivered lightning quick (and soon by drone technology). Who knows what the future holds? However, when your car or truck breaks down by the side of the road, you can’t wait for your order to arrive at your doorstep (you wouldn’t be there anyways). However, odds are you reach for your phone, Google “best roadside assistance” and begin to scroll through the dozen or so tow truck companies near you that have shown up in your search. But how do you pick? What makes one company different from another? Lee’s Towing near Fort Collins, CO, serves the Northern Colorado and Wheatland, WY, areas. We are the best tow truck company, and we offer the best towing services. Below, we’ll explain who we are and why we’re the superior tow truck company choice. WHY CHOOSE LEE’S TOW TRUCK COMPANY? Experience. With over 20 years of experience, we’ve seen almost every roadside assistance need and/or problem. 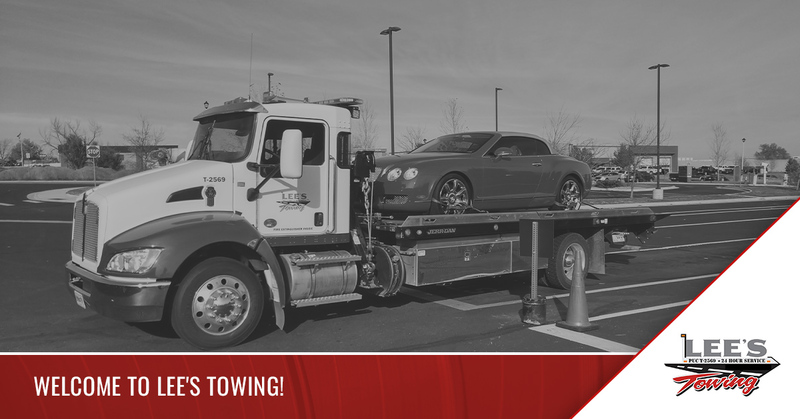 We can load our tow trucks quickly and efficiently in order to minimize time by the side of the road and minimize your wait times. We know the best way to load your vehicle, and we do so safely. Customer service. When you press the “call” button on your cell phone, a friendly and reliable staff member will answer your call, give you an estimate of the cost of your tow, and give you an expected wait time. We listen carefully to your need, and we do prioritize calls based on many factors, some of which include injuries, young children, or if you’re in danger due to the location of the tow. We do our best to prioritize all of our customers’ calls and get to you and get you to where you’re going as quickly as possible. Family owned and operated. Here at Lee’s Towing, everyone is family, from our employees to our customers. We do our best to treat you right, honoring our word and our prices, and exceeding your expectations. The best towing services. We offer light-duty towing, heavy-duty towing, and roadside assistance. We also will tow your motorcycle and handle any impound needs you may have. Jack-of-all-tows. No matter the scope or caliber of the job, Lee’s Towing gets it done. One car, which was blocking your driveway, was towed to an impound lot at your request. Afterwards, you had your freedom back to come and go as you please without fear or an accident occurring and you being trapped. Lee’s towing relieves your worry. Period. When you call us for a light duty tow, heavy duty tow, or for roadside assistance, we stop what we’re doing and help you with your needs. We believe in doing the right thing always. We’re honest and use integrity in all of our tow truck duty needs. In addition to offering the best 24-hour towing services, Lee’s Towing also offers many additional services. If your car dies, we can jump start it. If you get a hole in your tire, we can replace the tire. We deliver fuel to remote locations, and we can open your car if you lock yourself out. Don’t have the tools to change your tire? We can do that for you as well! If you get in a fender bender and your car is undriveable, we can temporarily store your vehicle in our yard with the cars waiting to be picked up by their owners until repairs can be scheduled. If you’re in the Northern Colorado or Wheatland areas, give us a call today for all of your towing service needs!